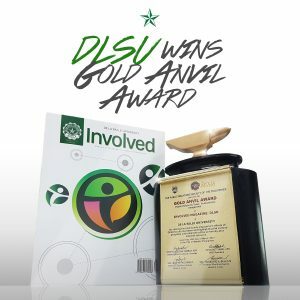 De La Salle University’s special publication, Involved, nabbed a Gold Award at the 52nd Anvil Gabi ng Parangal. The ceremony was held at the Makati Shangri-La Hotel last March 10. Involved, a special publication developed by DLSU’s Office for Strategic Communications, celebrates knowledge in action and how it can transform lives. The magazine focuses on the community engagement efforts of faculty members and highlights the various programs and initiatives of DLSU as a national resource, in line with the educational work of St. John Baptist de La Salle towards a humane, progressive, and peaceful society. The latest issue can be viewed here.